The battery for your electric bike is usually worth about a third of the value of the entire bicycle, so it’s important to do some research and know all about them before you buy. In this “Everything You Need To Know About Your Electric Bike Battery” article, we’re going to look at different factors that affect the cost, performance and life-span of your battery. As mentioned above, batteries aren’t cheap: they can be as much as a third of the cost of your bike. You’ll want to make sure yours is lithium-based (lead-acid are heavier and the range isn’t as good) and, preferably, it should be made by one of the following companies: Samsung, Panasonic or Sony. In the case of Pedego Canada’s batteries, prices range from about $750 for a 36V 10Ah one to about $1,380 for a 48V 15Ah. 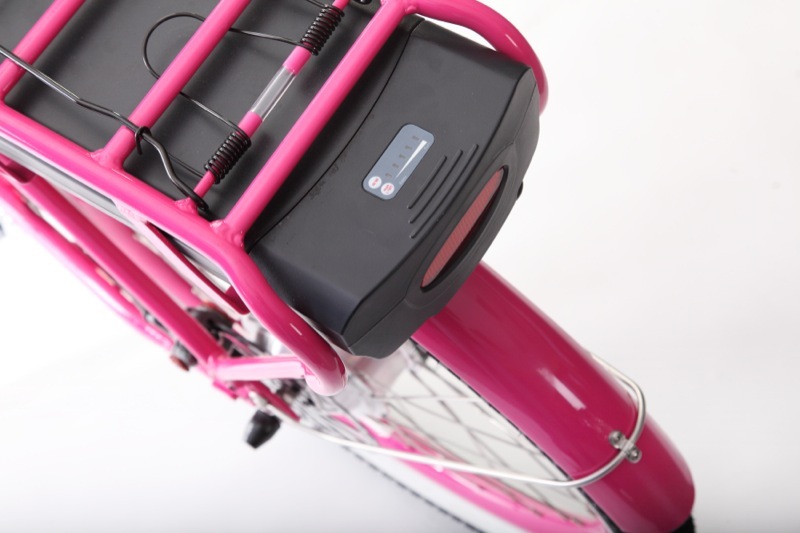 Contact info@pedegocanada.ca or call 1-888-777-2066 for specific prices of each of our batteries. Aside from the cost of the battery, there are two other numbers that are important: Voltage and Capacity. For example, you’ll hear a battery described as 36 volts (V) and 10 amp-hours (Ah). Most electric bikes run on a 36V system, although both 24V and 48V systems are also available. If you keep other major components of the bike the same, and increase the voltage, this gives you more power. This is what 48V systems are usually about…more power! However, as noted above, the best way to compare a bike is by doing a test ride as there are many other variables that affect performance. The Ah number for a battery gives you an indication of its capacity. Capacity is very important as it’s one of the main factors determining how much range you will get out of a bike (see range discussion below). To calculate the capacity, simply multiply the volts by amp-hours to give you the number of watt-hours (Wh) in the battery, e.g. 36V x 10Ah = 360 Wh. Again, if you keep everything else the same and doubled the battery capacity, you would expect double the range on a bike. Make sure you get the capacity information as some manufacturers don’t advertise the (usually small) capacity of their batteries. For example, going from a 36V 10Ah battery to a 36V 15Ah battery is a several hundred dollar value. If you have the option to upgrade to a larger battery on a bike, for not too many dollars, we would generally recommend doing it. Bigger capacity batteries last longer and will often be better value in the long term. This is because of both the extra range per charge and also that they tend to operate in their ‘comfort zone’ more, which places less strain on the battery. In the case of Pedego Canada, we offer a 2 Year Battery Warranty with all our electric bikes, which is one of the best in the business. Why we’re so confident in our batteries is the quality of the cells within them. 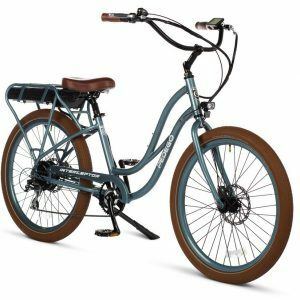 If you take nothing else away from this post, remember this: do not buy an electric bike with anything less than a two year battery warranty – cheap electric bicycles do not have the quality of manufacturing or warranty that will ensure you can enjoy the bike for years. It’s our recommendation that you spend a bit more money up front to save you from headaches later. 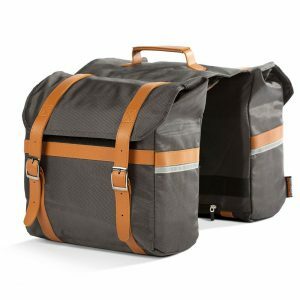 In order to prolong the life of your electric bike battery, we’ve put together an article entitled the “3 Ways to Prolong the Life of your Battery.” Check it out and if you follow the instructions, you’ll be sure to get between three and five years worth of life out of your electric bike battery.